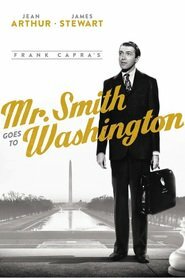 Living… in Washington, D.C. Before Mr. Smith got here he’d never been one of those sightseeing types. But the day he arrived he looked up, and there it was – the Capitol Dome, sparkling away there under the sun. It reminded Smith of why he came here in the first place. Interests… pushing for the establishment of a National Boys’ Camp. For a couple of years now, Smith has thought it would be a wonderful thing to have a National Boys' Camp out in his state. It could take the poor kids off the streets and out of cities a few months in the summer and have them learn something about nature and American ideals. Smith’s idea is for the government to lend them the money, and the boys will pay it back, sending in a penny or a nickel until it all adds up. Relationship Status… up in the air. Jefferson’s been real crazy about Senator Paine's daughter, Susan, but she doesn't seem to have much interest in him. Challenge… overcoming the corruption in Washington. Smith’s proposed bill has run into a dam that Senator Paine proposed, and now he's trying to smear Smith in the press with lies. Soon Smith’s constituents are demanding he resign. Smith thinks gentlemen are supposed to believe in something decent, instead of twisting facts and making a joke of everything, so why don't they tell the people the truth for a change? Personality… innocent, idealistic, and honest. Smith was more than a little naïve when he first got to Washington. But he’s also determined to do good once there. As he puts it, “This town needs someone with a little plain, decent, uncompromising rightness to root out the corruption and really light up that dome for once. This country could use some of that – so could the whole drunken, cockeyed world right now.” And when the right man comes along, no matter what the odds, he can't ever quit. Jefferson Smith 's popularity ranking on CharacTour is #2384 out of 5,000+ characters. See our top-ranked characters and read their profiles.